When I hear something that moves me and I don't have to fret over it, DOWNLOAD, sing, upload. Some of these are ONE take recordings some have been labored over. BUT the easiest ones to really let go on are the one that the music is SOOOOOO good. The music pulls the singing out of me. I was in a band for some years and I wrote all the music and sang and played guitar, they all depended on me, and how refreshing, to float on other's great work here in wikiloops land. Thanks so much for this opportunity to let go! These songs were sang from August 29th -September 9, 2016, hot off the press! These songs are in most recent to the oldest order. 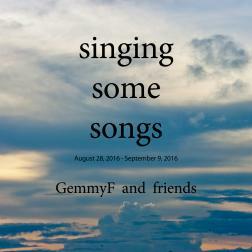 Great compilation of tracks Gemmy!